Cpl. Karim Delgado during a 2012 trip to Afghanistan with U.S. Special Forces. The combat correspondent did a tour in Okinawa and worked on several humanitarian missions while he was in the Marine Corps from 2004-2008. But one week before an anticipated deployment to Iraq in 2007, he was sent to the New York City public affairs office. “I had been trying to go to Afghanistan for a while throughout my active duty career. It became a fixation of mine,” Delgado said. But as a combat correspondent opportunities to deploy were scarce so Delgado decided to leave the force and pursue travel to Afghanistan as a civilian. Last spring, the 27-year-old got an offer he couldn’t refuse. 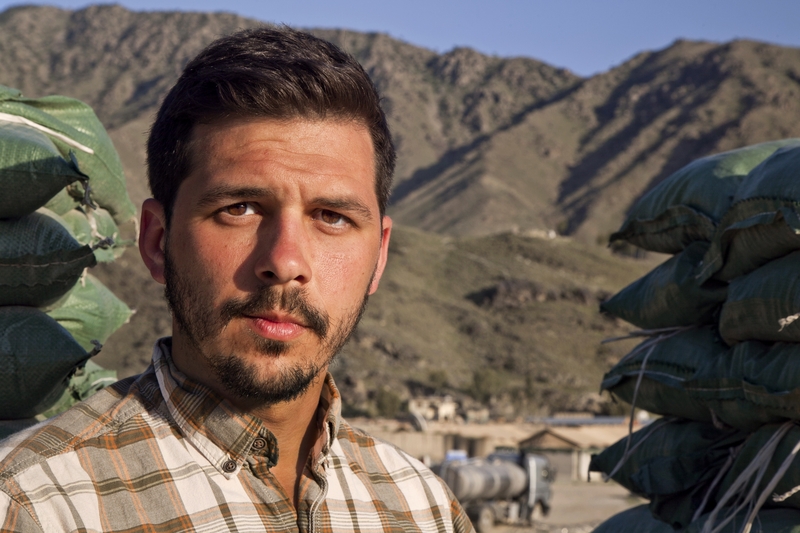 While enrolled at Columbia University School of General Studies, Delgado was offered a chance to work with Special Forces in Afghanistan as a civilian videographer to produce documentary-style films for predeployment training. For six months, Delgado cultivated relationships with Special Forces teams and local Afghans. “It’s impossible for me to talk about [Afghan politics] without it feeling like I’m talking about family,” Delgado said. Once he returned to the U.S. in July, his demons returned. “Coming back felt like there was an argument going on in my mind, one that I was locked out of. Like a child, I couldn’t make out what was being said but I could make out the tenor,” Delgado said. He began watching the footage over and over again – sorting it in different sequences. “There’s no good and healthy reason why I should have been replaying some of the clips as many times as I did,” Delgado said. Most footage was classified for security reasons. The rest, he said, is what he used to produce “Humans of Afghanistan,” a three minute short film he posted to Vimeo. “The video was a way for me to sort through those experiences and make some sense of what happened. My job was to document a lot of the things that other people had to remember,” Delgado said. Delgado said he tried to highlight moments he thought were missing from the national conversation about Afghanistan. Cpl. Karim Delgado traveled as a civilian videographer with U.S. Special Forces to Afghanistan earlier this year. Delgado said he wanted to convey that the local Afghans are people too, a concept he thought was missing from the American conversation. Photo Courtesy of Karim Delgado. 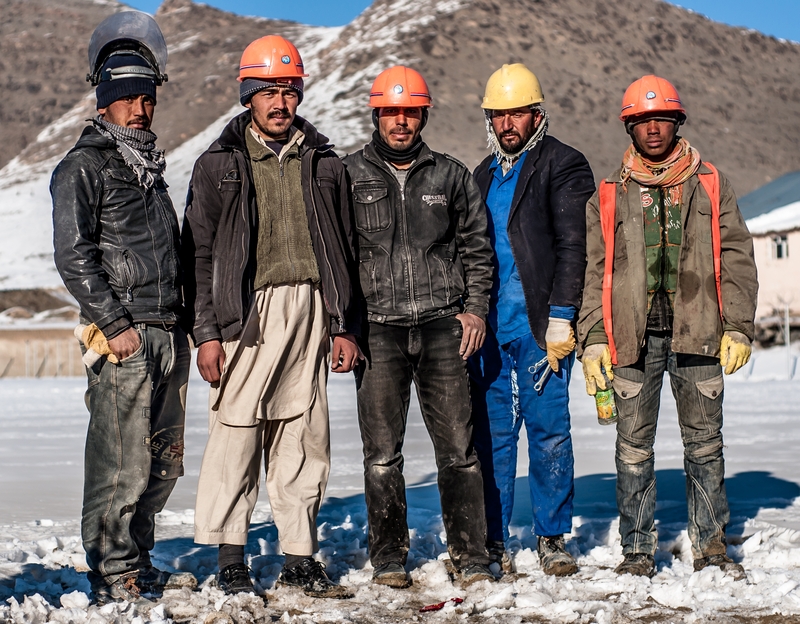 “I wanted to show the humanity of Afghanistan. I think the conversation stateside seems to ignore that they are people,” Delgado said. The self proclaimed “hipster” said he had trouble grappling with the realities of war as a civilian and produced the film to resolve his personal questions about conflict and morality. “What I learned in Afghanistan is that we, as a species, are far more fragile than I thought,” Delgado said. The film tries to highlight the unique interactions between service members and locals. “You get into this situation were you can see a kid speaking with one of the soldiers and you know what’s on the back of each of their minds. But it’s etiquette that keeps us from saying hey, we’re in a place where it’s ok to kill people,” Delgado said. Those moments, he said, are the ones that everyone can relate to even if they’ve never been to a combat zone. It’s what we all have in common as humans, Delgado said. Delgado will graduate from the New York City Ivy League in 2014 and said he’d like to go back to Afghanistan to produce more films. He said completing “Humans in Afghanistan” has enabled him to talk openly about his experience in Afghanistan and has helped resolve some of the guilt he felt from never deploying to the region while in uniform. Delgado said he now understands why many service members have difficulty talking about their experience to civilians who have never been there. He encourages others to be open and patient to questions about the region. “For anybody coming back, there has to be recognition that our experiences are unique but that doesn’t necessarily make us special. We want to be special because we hurt. We want people to respect that pain. I think it’s far more conducive to our own psychological health to focus on our commonality on the ways in which our experiences are similar and only then will people feel ready to talk,” Delgado said.